Dynamic Host Configuration Protocol (DHCP) is the default network setting. For advanced network configuration refer to IT Department / ISP for assistance. Access the Network Extender Admin then click Settings (on the left). For assistance, refer to Access Network Extender Admin. 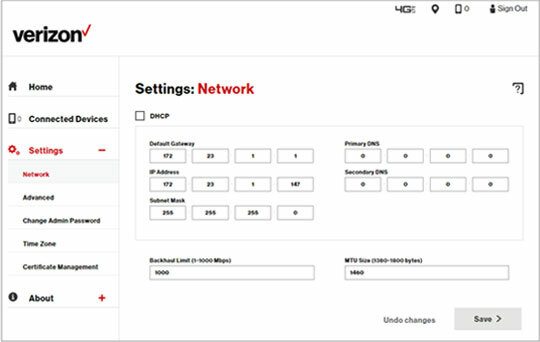 Click Network, then ensure the DHCP box is not checked and modify the following information as needed. Alternatively, click Clear Network Settings to restore the default settings. From the Warning prompt, click OK.
From the Information prompt, click OK.